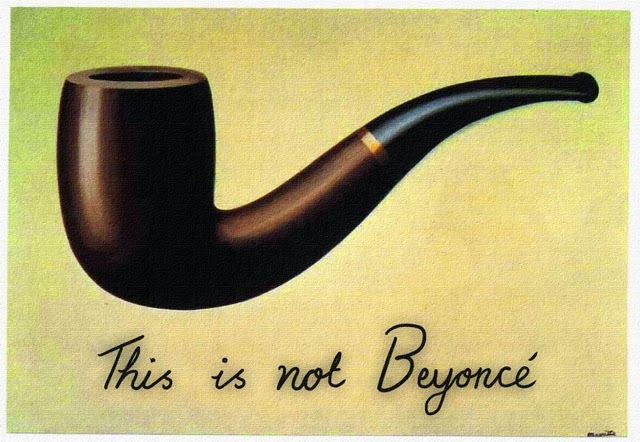 This has to be the most unexpected yet brilliant Tumblr account I've seen in months. 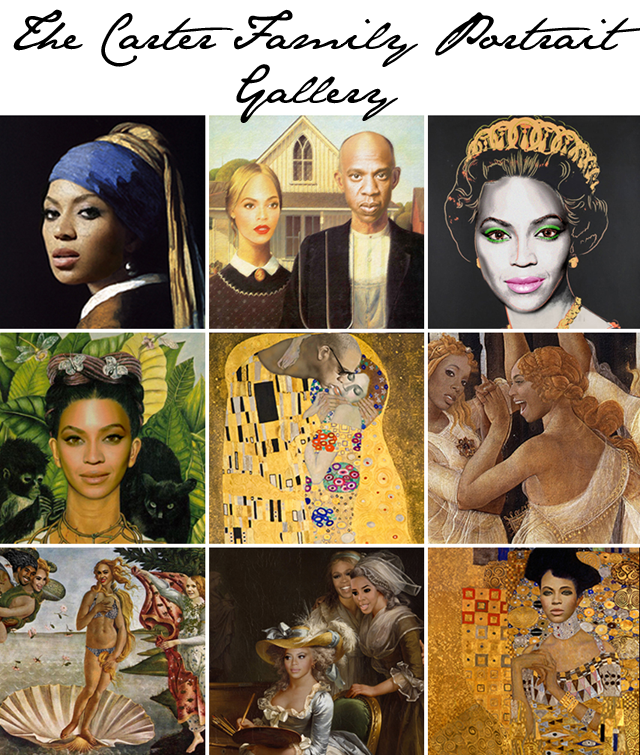 Imagine the world's greatest pieces of art, then imagine all the classic faces replaced with the image of Beyonce, Jay-Z and more. 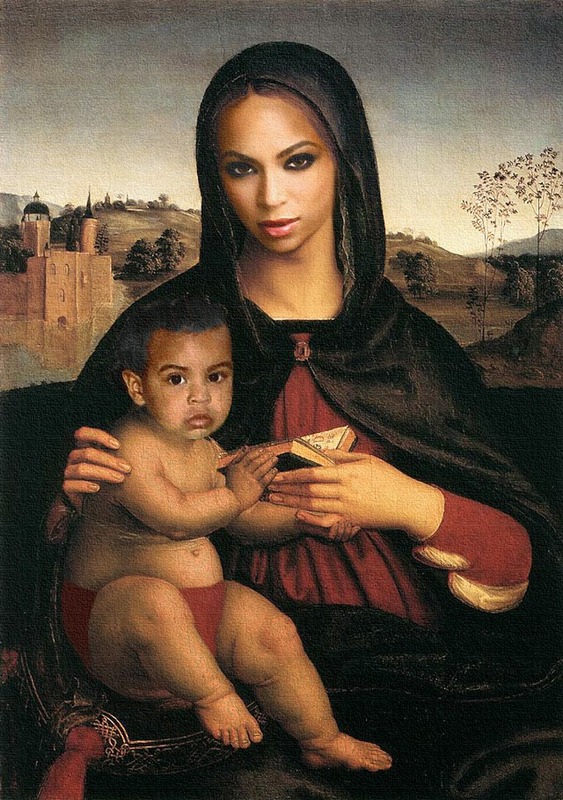 This is the Carter Family Portrait Gallery and it is absolutely brilliant and downright hilarious. 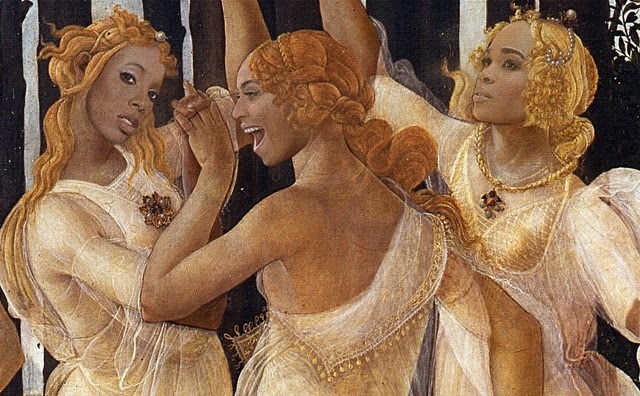 From Beyonce as Botticelli's Venus, to Jay-Z as Picasso's The Old Guitarist there are endless giggles to be found in the pages of this Tumblr. Here are a few of my personal favorites. 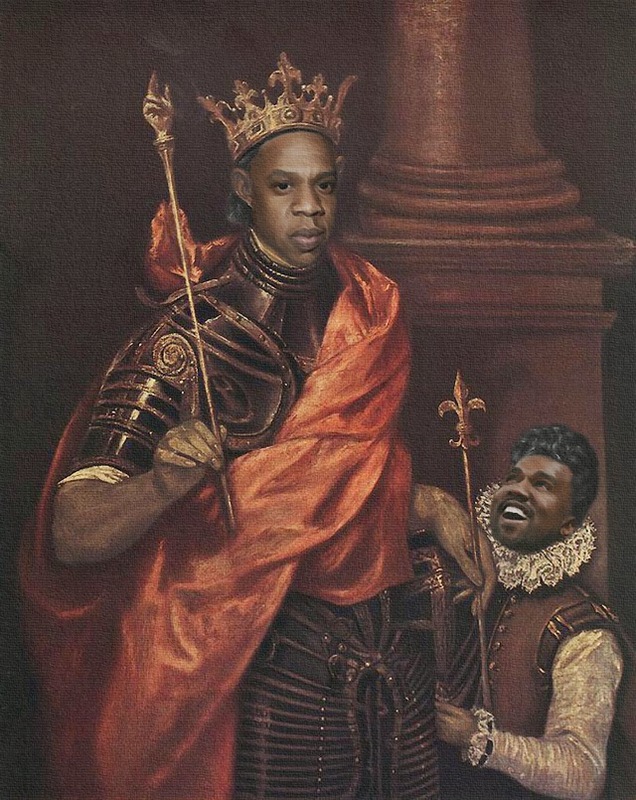 You can only imagine the giant ego boost this has given the Carter Family today.